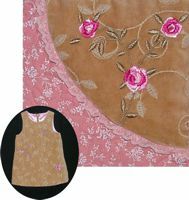 Just like the song with the same name, this quilt pays tribute to a darling little girl growing up too fast. I made this quilt on commission. 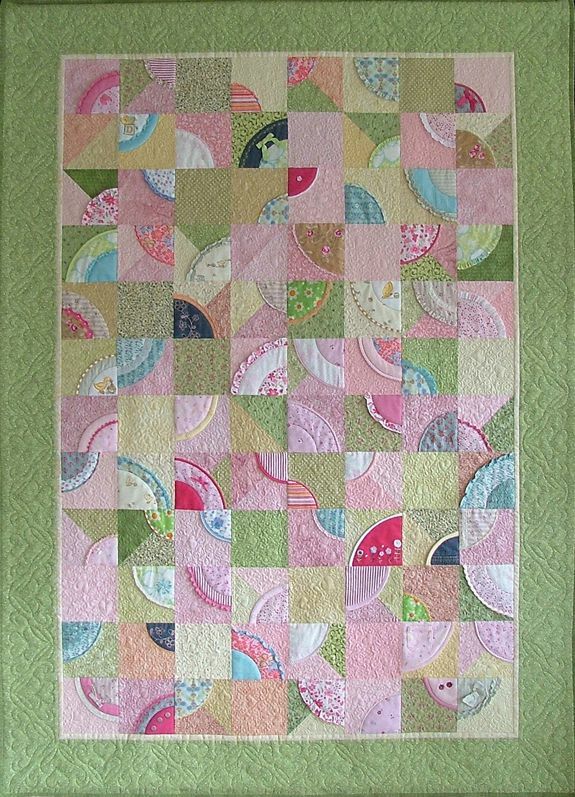 Each quarter circle on the quilt was made using fabric from the much-loved outfits of a baby girl. 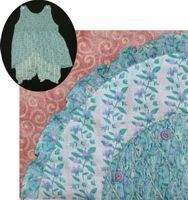 Most of the embellishments came from the clothes as well. Being the mother of sons myself, you can image how much fun I had working with ruffles and lace! 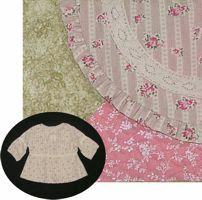 Yes, it was a little hard cutting into those beautiful garments at first. But just like a butterfly, the clothes have been transformed into something colorful and new. Now a wonderful quilt takes their place, full of cherished memories, ready to be loved anew and never to be outgrown.